American Property Loss local North Carolina Public Adjusters are available to do a complete review of your North Carolina tornado damage insurance claim. From initial on-site North Carolina tornado property damage estimates to reviewing your insurance company adjuster estimates for completeness, American Property Loss local North Carolina Public Adjusters are experienced and ready to get your life back in order after North Carolina tornado damage. On April 16, 2011, a series of devastating tornadoes tore through central North Carolina, including Raleigh. This abnormal system of tornadoes destroyed the lives, homes and businesses of many North Carolina residents. Eventually up to 62 tornadoes were reported during that storm system that ended up killing 24 North Carolina residents. For those of us in the path of that storm, there was extreme localized devastation. New tornadoes were being reported on the news on a minute by minute basis. This was an extreme event for North Carolina, but North Carolina sees an average of 14 tornadoes per year. 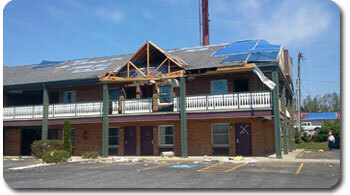 We handle tornado damage public adjuster services for other states as well. In an average year, about 1,000 tornadoes are reported across the U.S., resulting in 80 deaths and over 1,500 injuries. These violent storms can leave a swath of property damage and death behind them. Tornadoes occur most frequently in an area called “Tornado Alley,” a strip of land running from Texas north to Minnesota. However, tornadoes can occur in any state, with wind speeds reaching 200+ miles per hour, torrential rain, hail and lightning. Most property insurance policies provide coverage for losses resulting from tornadoes. While tornadoes may not be specifically mentioned as a covered form of loss, tornado losses are one event covered under the broader term windstorm. Windstorm includes tornadoes, straight-line winds and hurricanes. However, there may be instances where coverages and deductibles may apply specifically to hurricane and not to all windstorms. When that home is damage by a tornado and resulting hail damage, a licensed local American Property Loss North Carolina Public Adjuster can help alleviate the arduous North Carolina insurance claim process and will see to it that you restore your home or business back to its proper condition. What to do after a North Carolina tornado? Check your North Carolina homeowners insurance policy or renters insurance. Hopefully, you read through your policy coverage before you purchased it, but make sure that it fully covers tornado and/or wind-related damage. Check your auto policy. If your auto was damaged, check the comprehensive section of your automobile policy to see if what coverage is available to you. Contact your insurance company. 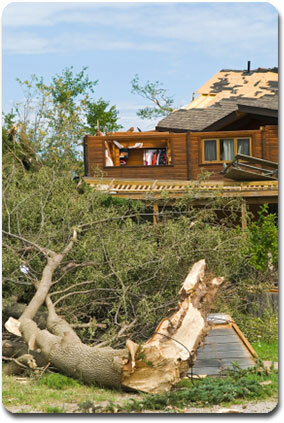 Call to inform of the damage which your property sustained and request a claim form. Fill out any claim form provided and return it to them ASAP to get the claims process underway. Contact American Property Loss Public Adjusters. If you want an experienced local North Carolina Public Adjuster to handle the details for your loss, make sure that all paperwork is filled out properly and handle the heavy lifting of getting your claim processed, our local NC Public Adjusters are intimately familiar with North Carolina insurance laws and regulations. Document any and all damage. Take photos and/or videos. Create an inventory of any property which has been damaged. Try to include the price you paid for each item. Keep in mind that some damage, such as water leakage, may not be readily apparent and could take months to show up. Get multiple bids for repairs. It’s in your best interests to get estimates from multiple contractors for any repair work which needs to be completed. Do not rely on the insurance claims adjuster’s “recommendation”. Get your own bids. A competent Public Adjuster can also be of value here. Read anything the insurance company sends you CAREFULLY. Do not simply cash a check the insurance company sends you, read the language of any and all documents or checks the insurance company sends. Look for words such as “paid in full.” Be cautious about releasing future claims you may have arising from the tornado. Again, some damage may not become apparent until months later. If you were not affected by a tornado, be sure to check your homeowners policy. The best time to review your coverage is before you need it. A recent article in USA Today indicated that while approximately 96% of people have homeowners insurance, 64% of homes are undervalued for insurance purposes. Find out how American Property Loss North Carolina Public Adjusters will maximize your property damage claim for a higher settlement in less time. Remember, we represent you, not the insurance company. 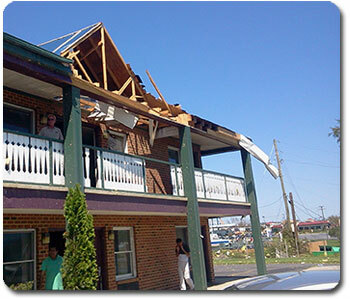 Get Insurance Claim Answers Now from a certified North Carolina Public Adjuster!